In secular usage, meditari means, in a general way, to think, to reflect, as does cogitare or considerare; but, more than these, it often implies an affinity with the practical or even moral order. It implies thinking of a thing with the intent to do it; in other words, to prepare oneself for it, to prefigure it in the mind, to desire it, in a way, to do it in advance- briefly, to practice it… To practice a thing by thinking of it, is to fix it in the memory, to learn it. All of these shades of meaning are encountered in the language of the Christians; but they generally use the word in referring to a text. The reality it describes is used on a text, and this, the text par excellence, the Scripture par excellence, is the Bible and its commentaries. Indeed, it is mainly through the intermediary of ancient biblical versions and through the Vulgate that the word (meditation) has been introduced into the Christian vocabulary, particularly into monastic tradition, where it was to continue to retain the new shade of meaning given it by the Bible. There, it is used generally to translate the Hebrew hāgā, and like the latter it means, fundamentally, to learn the Torah and the words of the Sages, while pronouncing them usually in a low tone, in reciting them to oneself, in murmuring them with the mouth. This is what we call “learning by heart,” what ought rather to be called, according to the ancients, “learning by mouth” since the mouth “meditates wisdom”: Os justi meditabitur sapientiam. In certain texts, that will mean only a “murmur” reduced to the minimum, an inner murmur, purely spiritual. But always the original meaning is at least intended: to pronounce the sacred words in order to retain them; both the audible reading and the exercise of memory and reflection which it precedes are involved. To speak, to think, to remember, are the three necessary phases of the same activity. To express what one is thinking and to repeat it enables one to imprint it on one’s mind. In Christian as well as rabbinical tradition, one cannot meditate anything else but a text, and since this text is the word of God, meditation is the necessary complement, almost the equivalent, of lectio divina… For ancients, to meditate is to read a text and to learn it “by heart” in the fullest sense of this expression, this is, with one’s whole being: with the body, since the mouth pronounced it, with the memory which fixes it, with the intelligence which understands its meaning, and with the will which desires to put it into practice. 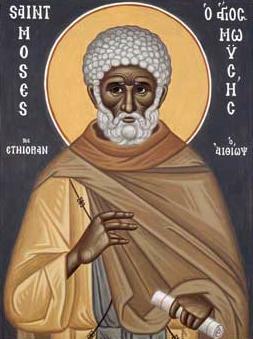 In the case of the person who has been held worthy to taste of divine love, that person customarily forgets everything else by reason of its sweetness, for it is something at whose taste all visible things seems despicable: such a person’s soul gladly draws near to a luminous love of humanity, without distinguishing between good and bad; he is never overcome by the weaknesses to be found in people, nor is he perturbed. He is just as the blessed Apostles were as well: people who in the midst of all the bad things they endured from others, were nonetheless utterly incapable of hating them or of being fed up with showing love for them. This was manifested in actual deed, for after all the other things they even accepted death in order that these people might be retrieved. These were men who only a little previously had begged Christ that fire might descend from heaven upon the Samaritans just because they had not received them into their village! But once they had received the gift and tasted the love of God, they were made perfect even in love for wicked men: enduring all kinds of evils in order to retreive them, they could not possibly hate them. St. Isaac the Syrian, from ‘The Second Part,’ trans. Sebastian Brock, p. 50. 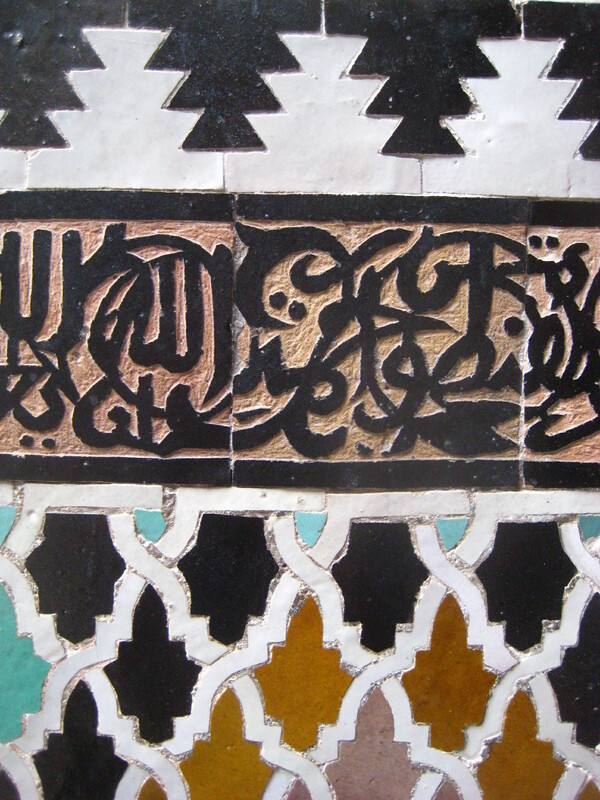 The tafsīr of the Moroccan Sufi Ahmad ibn ‘Ajība (b. 1747/8) is the most recent of the commentaries I am examing in this series, and because of that it is a good summation of the many centuries of exegetical tradition that preceded it, both in ‘mainstream’ Sunni tafsir and in Sufi mystical intepretation. At first glance, there is little to distinguish ibn ‘Ajība from his predecesors. He seems to be drawing heavily upon al-Baydawī (or al-Baydawī’s source, al-Zamakhsharī), with some expansions. However, there are some rather significant changes. For instance, we see that al-Sulamī’s story about Muhammad’s discontent has been included as part of the ‘exoteric’ commentary, and has been modified slightly. Ibn ‘Ajība includes brief grammatical explanations, taking care not to overburden the reader; he also includes an occasion of revelation story that we have not come across before, as well as brief speculation on the liturgical proscriptions inherent in this surah. He thus draws upon the wide variety of exegesis that had developed, paring it down and presenting the various elements in rapid succession. Finally, of most significance is the final paragraph of the commentary, the ‘spiritual allusions.’ Here we see another form of Sufi exegesis, but in a very different order from al-Sulamī’s. Instead of the usual process of dividing the surah into lemmas (individual lines or units) and presenting various exegetical authorities and opinions, line by line, our author interprets the surah through a process of interpolation, flowing from phrase to phrase. He expands the verse using Sufi doctrines and concepts, uniting the scriptural words seamlessly with mystical language and experience. And ibn ‘Abbās interpreted it as abundance of good, and it was said to him: verily people say: it is a river in Paradise. So he said: The river is part of that good. And it is said: it is abudance of his children and descendents, or the ‘ulamā’ of his community, or the Qur’ān providing the good of this world and the next. And it is related: That the Prophet, peace and prayer be upon him, said: ‘O Lord, You took Ibrahim as a friend, and Musa as a spokesman- so how am I special?’ So [this verse] descended: ‘Did He not find you an orphan then give [you] shelter?’ But he was not satisfied with that, so there descended: ‘We gave you al-kawthar.’ But he was not satisfied with that, for it was due him lest he be satisfied, for contement from God is deprivation, and reliance upon [one spiritual] state cuts off the highest [spiritual state]. So Jibrīl descended, and said to the Prophet, peace and prayer be upon him: ‘God- blessed and exalted is He- greets you with peace, and says to you: “If I took Ibrahim as a friend, and Musa as spokesman, then I have taken you as a beloved one (habīban), and My counsel and my Strength are for the preference of My beloved over and beyond My friend and My spokesman.”’ So [Muhammad], peace and prayer be upon him, was content. The [particle] fa’ in His saying ‘So pray (fa-sall) to your Lord and sacrifice’ is for the organization of what is after it in relation to what is before it, in that God, exalted is He, gave [Muhammad]- peace and prayer be upon him- what was mentioned of the gift which was not given to any one [else] in the world, deserving to the one commissioned by Him, that is, one deserving. That is: continue in prayer to your Lord- He who has poured out upon you this glorious grace, to which no [other] grace compares- purely devoted to His face, differing from the heedless hypocrites, so stand in the reality of gratitude for it, for verily the canonical prayer is a uniting of the various parts of gratitude. ‘And sacrifice’: the torso (al-badn), which is the choice part of the goods of the Bedouin, and give alms to the needy, differing from him who repells them [the needy] and forbids them, forbidding from them small kindnesses. And on the authority of ‘Attīa: it is the canonical prayer of dawn in a gathering, and the sacrifice is in Mina, and it is said: [it is] the prayer of the festival and of the sacrifical animal. It is said: it is the kind of prayer, and ‘the sacrifice’ is the placing of the right [hand] upon the left, under his sacrifice. It is said: it is that one raise his hands during the ‘God is great’, towards his sacrifice. And according to ibn ‘Abbās: face the qibla with your sacrifice, that is, during the ritual prayer. Al-Fara’ and al-Kalbī [also] say this. ‘Verily, he who hates you’: that is, the one who despises you, whoever he may be, ‘he is cut off’: he who has no descendent, when there does not subsist for him lineage, no glorification of remembrance- but as for you [Muhammad], your progeny remains, your fame is glorified, and your virtue praised, up to the day of the Resurrection. Because all who are begotten of the Muslims are your sons and your descendants, your remembrance is lifted up in the minbars, and is upon the tongue of every scholar and mystic, to the end of the age. One begins with the remembrance of God, and one gives praise through your remembrance. You possess in the next world what is not described in the Qur’an, and one cut off does not speak of even your likeness, rather, the one cut off, he who hates you, is forgotten in this world and the next. May God pray for our master Muhammad and his house! Yet even that vineyard must go. And the distances all obliterated. Is yours. But the burning comes first. Now for something rather different. Here we have an early example of Sufi Qur’an exegesis, composed by the eleventh century Sufi al-Sulamī; it will be followed in a day or two with an excerpt from a much later Moroccan Sufi, ibn ‘Ajiba. Hermeneutically, al-Sulamī’s exegetical moves here are not terribly different from his more exoteric contemporaries. For instance, in interpreting the tricky term al-kawthar, where other exegetes expand upon the term using ‘standard’ Islamic concepts, al-Sulamī deploys Sufi ideas and terms as possible explanations. 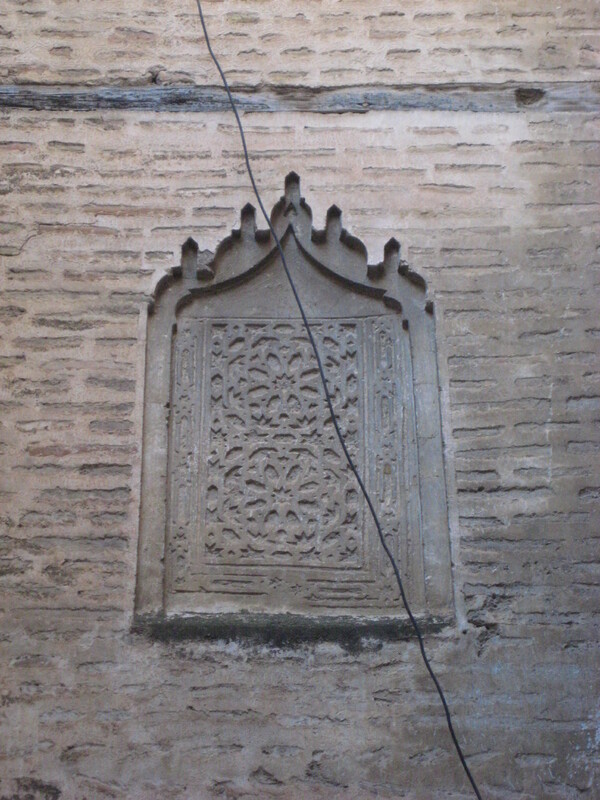 As with the non-Sufi commentaries, all of his possible explanations follow from the exegetical commonplace, well established by the eleventh century, that al-kawthar was either ‘abundance of good’ (which could encompass, as we have seen, virtually anything) or ‘a river in Paradise.’ Al-Sulamī follows from both, expanding upon them, but from a Sufi perspective. Also similar hermeneutically to other commentators is the Sufi ‘occasion of revelation’ included here. Or at least its form reminds us of an occasion of revelation story- in fact, its inclusion of the occasion of revelation of the verse in question is only a secondary component of the story. The scripture references reinforce the story, which itself does relatively little to explain the verse at hand. Rather, this is perhaps less an occasion of revelation story as it is an instance of what Gerhard Bowering has described as a process in which particular ‘key-notes, words, or phrases set off’ a mystical commentator into a story or explanation or burst of poetry. While all tafsīr- Sufi and non-Sufi- tends to be rather free-flowing, Sufi tafsīr in particular tends to have a measure of freedom and sometimes seeming randomness that sets it apart from other forms of Islamic exegesis. Perhaps this is intentional: like mystical experience itself, the ‘inner’ appreciation of the text is harder to control, is more ‘random’ and organic. And also like mystical experience, perhaps the apparent dissonance of conflicting opinions, one after another, is the point: that all of these senses and interpretations can coexit, because of the ultimate inexpressibility of the inner experience, of the inner meaning. His saying, exalted is He: ‘Verily, We have given you al-kawthar.’ Al-Sādiq said about His saying ‘I have given you al-kawthar’: [it is] a light in your [Muhammad’s] heart, that is on account of Me, and it cuts you off from what is other than Me. He [al-Sādiq] also said: intercession (al-shifā’a) for your community (ummatika). One of them said: ‘We have given you’ miracles which increase in number the people of compliance (ahl al-ijāba) in accordance with your summoning. And ibn ‘Attā’ said: [al-kawthar is] the message and prophethood. And ibn ‘Attā’ said: [al-kawthar is] knowledge of My Lordship, and being singled out by My unicity, My power, and My will. And Sahl [al-Tustarī] said: [al-kawthar is] the basin [in Paradise], you give to drink whom you will by My permission, and you forbid [to drink from the basin] whom you will by My permission. Al-Qāsim said about His saying, ‘Verily, the one who hates you, he is cut off (al-abtar),’ that is, out of commission, cut off from the good things of the two worlds together. Abū Sa’īd al-Qarashī said: when there descended upon the Prophet, peace and prayers of God be upon him, [the verse] ‘O those who are summoned, desire from your Lord the means, closeness.’ The Prophet said: ‘O Lord, you took Ibrahīm as a friend (khalīlan), and Mūsā as a spokesman (kalīman), so with what do you distinguish me?’ Then God, exalted is He, sent down [the verse] ‘Have We not opened your chest?’ But he [Muhammad] was not content with that, so God sent down [the verse] ‘Did He not find you an orphan then give [you] shelter?’ But he was not content with that, and He changed him so as to not be content, because reliance upon one’s state (al-hāl) is the cause of the cutting off of the highest degree [i.e., being content with a lower spiritual state prevents the attainment of the highest spiritual state]. So God sent down [the verse] ‘Verily, We have given you al-kawthar,’ but he was not content with that until, as we report, Jibrīl, peace and prayers of God be upon him, said: ‘Verily, God, exalted is He, greets you with peace, saying: “If I have taken Ibrahīm as a friend, Mūsā as a spokesmen, then I have taken you as a beloved one (habīban) and as My power, for I have prefered My beloved over My friend and My spokesman.”’ So he [Muhammad] was content, and this is more glorious than [the state of] satisfaction because of this audacity of speech and argument, because satisfaction is for the beloved, while distraction and expansion are for the friend. Or have you not looked to the story of Ibrahīm, prayers of God be upon him, and his state was that of glad tidings; he argued with Us and he is [in the state of] expansion/joy.